The first pocket sized music system good enough for audiophle purists. 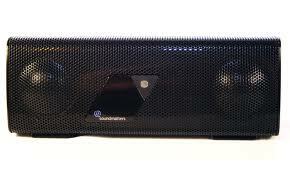 Ideal for travelling the Foxl streams via Bluetooth technology from laptops, I-Pods and MP3 players. Comes complete with an Audioquest green interconnect to get the best posible results when the Foxl is connected directly to a music source.